Gift a gift card to be used towards a photo shoot, digital files & photo products at LunaCat Studio Photography. It is an ideal gift for someone you love helping her/him order a photo session, being a photo shoot for a newborn, a baby, a pregnant couple or a family. This gift card value will be deducted from the photo shoot fee and can also be used towards ordering of digital files and photo products offered by LunaCat Studio Photography. 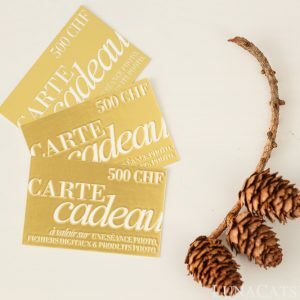 You can gift different gift card amounts, either 50 CHF, 100 CHF, 200 CHF, 500 CHF or a combination of the previous amounts by ordering additional gift cards. This gift card is an ideal gift for a pregnant mum for a baby shower, which can be done by colleagues, friends or family, but also as a future dad gift or for a whole family to contribute to the photo shoot booking at LunaCat Studio. The gift card is valid for 6 months starting from the ordering date and is non-transferable, cannot be redeemed for cash. If you would like to have the gift card sent directly to the lucky recipient, please do not forget to give us his/her contact details in the checkout notes.